Men’s FIFA World Cup 2018 will take center stage in Russia and the plot thickens for the contenders. Will Lionel Messi finally achieve world victory this time around? (‘Cause let’s face it, his pursuit of this triumph is like Leonardo DiCaprio’s long bid for that Oscar trophy). This may also be Cristiano Ronaldo’s final international appearance and Portugal is expecting him to take the charge after their Euro 2016 win. What about Brazil’s pride Neymar and Egypt’s breakout star Mohamed Salah? Will they both fully recover from their injuries in time for the World Cup? The anticipation for the 21st edition of the greatest battle in football builds up and we’ve got the details covered. 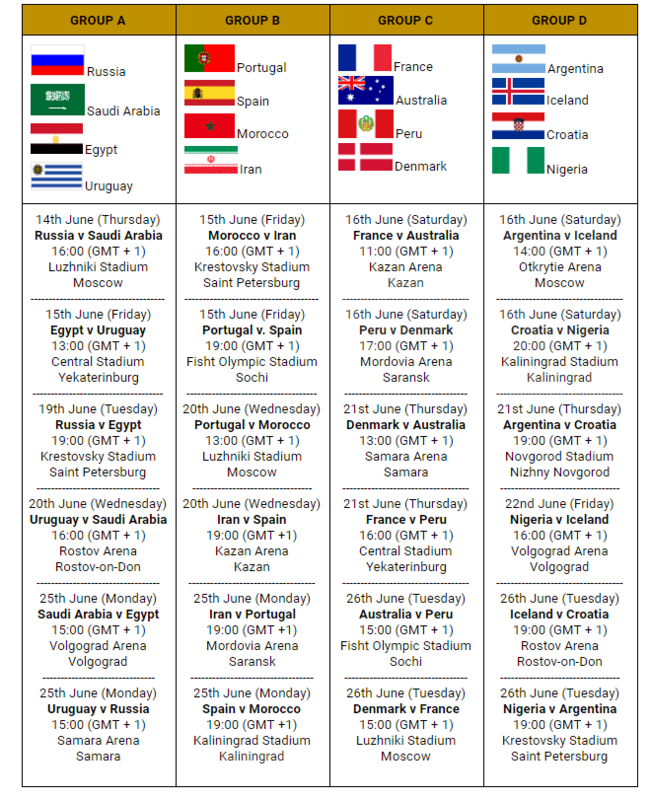 Over 200 teams from all over the world played in the qualifying rounds of the World Cup. In the end, 32 teams made the cut. Long-time mainstay Italy will not be in this year’s tournament, a first since 1958. Chile and the United States also missed their shot, while Iceland and Panama will be making their first appearance in the competition. Germany, Brazil, Portugal, Argentina, and Belgium are among the favorites to win this year. The playoffs will take place in selected cities in Russia including Saint Petersburg, Moscow, and Sochi where the 2014 Winter Olympics took place. 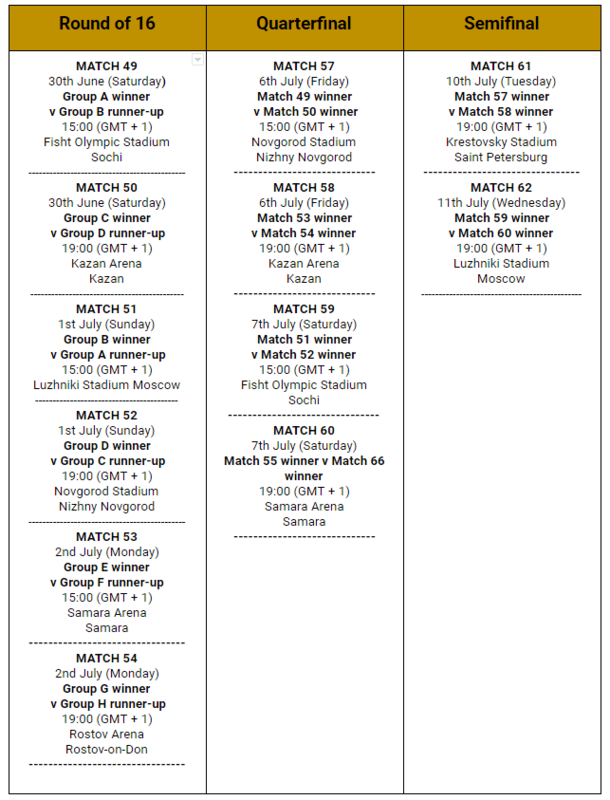 Six matches will be held at Samara Arena, while the opening match and the final game will be held at Luzhniki Stadium. It’s the national stadium of Russia and has over 80,000 seating capacity for football fans who will flock to see the big finals. FIFA chose Russia as part of their campaign to have the World Cup in new countries. It is the first time that the game will be hosted in Eastern Europe. Zabivaka or the Wolf “who scores” was announced as the official mascot after a million Russians cast their votes on FIFA. Adidas has produced this year’s official ball and has named it ADIDAS TELSTAR 18 in homage to their first World Cup match ball. It was presented last November in Moscow by football icon Lionel Messi. It comes in white base and black/ gray patterns. ‘Live it Up’ by Nicky Jam, Will Smith, and Era Isteferi was unveiled as the official song of this year’s World Cup. The song was produced by Diplo and will be performed live by an all-star lineup during the finals on July 15th. If you’ve missed the chance to secure tickets from FIFA, you can still catch all 64 matches on TV via FOX Sports 1 or FOX. Spanish language sports network Telemundo Deportes or NBC Universo also has the television rights for this year’s World Cup. You can also try streaming the games at fuboTV. 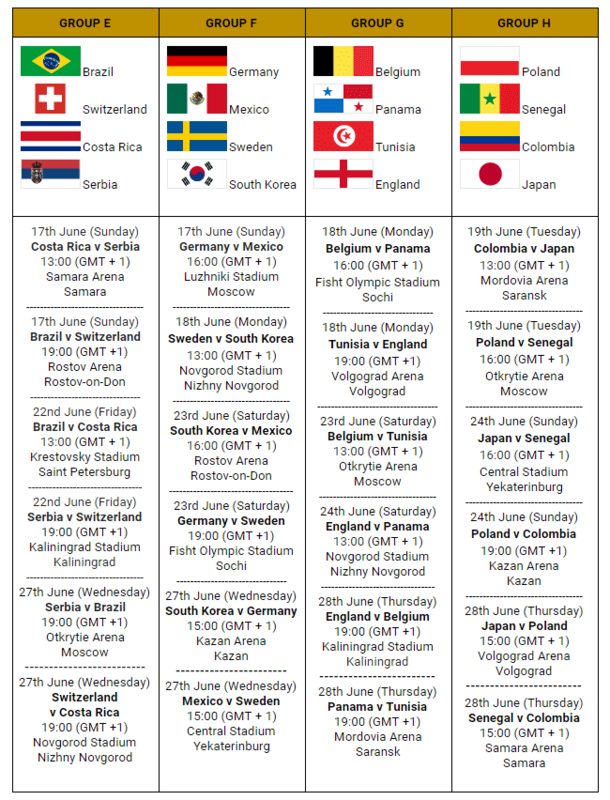 Full 2018 World Cup Schedule* *Tournament schedule is subject to changes. Germany won the last World Cup in 2014 after a thrilling 1-0 outing over Argentina. Mario Gotze scored the winning goal in overtime. Joachim Löw has already announced his squad and World Cup veterans Manuel Neuer and Marco Reus are in the lineup. 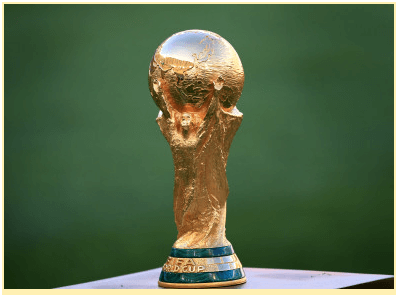 The much-coveted World Cup trophy is made of 18-carat gold, stands 36.8 centimeters, and weighs 6.1 kilograms. It has the “FIFA World Cup” and currently has eleven winning nations engraved on its malachite base. It also depicts two human figures holding up the Earth. The trophy will be displayed in St. Petersburg Stadium during this year’s tournament. – Brazil has won the most FIFA World Cups. They hold a record of five wins. – Germany has won the tournament three times (1954, 1974, and 1990). – Perennial contenders Brazil and Germany have played the most matches at the World Cup. – Miroslav Klose has scored the most number of goals (16) at the World Cup. – Pele is the only player to have won the trophy three times (1958, 1962, and 1970). – Dino Zoff is the oldest player to appear in a World Cup final. (Italy, 1982). – Russia’s Achilles the Cat can reportedly predict the winner of this year’s World Cup. The “Feline Oracle” was given two bowls of food marked with competing teams’ flags and had accurately predicted outcomes of several matches. He joins the ranks of Paul the Octopus, one of the most successful pundits ever. Such is the football psychic’s popularity that his selections were even broadcasted on German news channel during the 2014 World Cup. Support your favorite teams in this year’s World Cup by placing your picks in our sports betting brokerage. See our betting insights page for the best recommendations from our sports analysts. Contact us via Skype and create an account with us today!